If you have a commercial driver’s license and have been charged with a DUI, you need sound legal advice. Regardless of the class type, a DUI charge when you hold a CDL can affect you significantly. You can face loss of income when your livelihood relies on that license. You could also be facing jail time and loss of your driver’s license for a period of time. Contact Birmingham attorney Mattehw T. Jackson today at 205-358-8623. He’s available 24/7 to discuss your options! Any person holding a CDL is subject to much tougher standards. 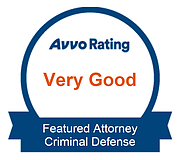 If you plead guilty you are giving up your right and ability to have an experienced attorney defend the charges against you. You need a local Birmingham DUI defense attorney that is familiar with the local courts and judges and knows how to maneuver through the complex legal system. Don’t go it alone. You may be confused and don’t know what to do. Birmingham criminal defense attorney Matthew T. Jackson has extensive experience defending DUIs in connection with a CDL. He is available 24/7 to help you figure out your options. ©2019 BY LAW OFFICE OF MATTHEW T. JACKSON.